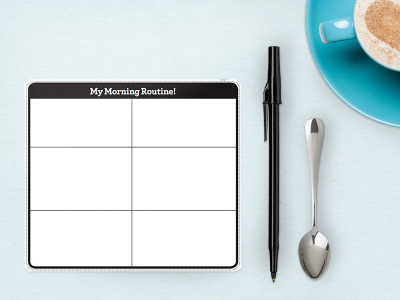 The Big Idea: Daily routines help kids know what to expect. They're also a great way to teach responsibility. Talk about kids’ morning routines. What do they do every day, and in what order? Mention that everyone has jobs in the morning to take care of themselves, and that since morning can be a rushed time, everyone needs to do their job. Help kids complete the page. They can hang it in their rooms as a reminder of what to do first and what to expect when they wake up.